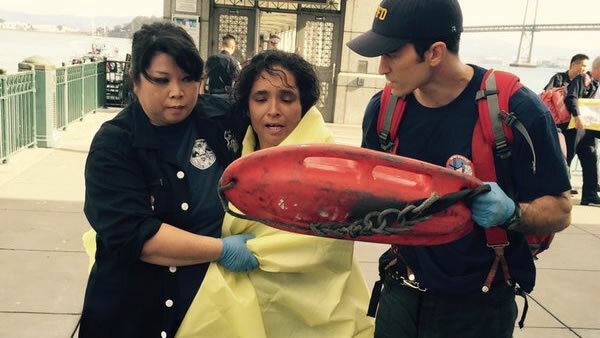 SAN FRANCISCO (KGO) -- Officials said firefighters rescued a woman who either fell or jumped into the San Francisco Bay near the Ferry Building Sunday morning. Witnesses said she vanished from sight after floating beneath a pier for a moment. Paramedics took her to the hospital as a precaution. It is unclear at this time what condition she is in.